The first rule of thumb is that the Mingle idea / concept is always in the product or service we are providing. Amazing design and marketing must be communicated, clear, consistent and effectively delivered. The Mingle Methodology . process starts with identifying and discovering what makes your brand, product or service unique. Also what makes your business innovative, in and of itself. This U.S.P. or Unique Selling Proposition is the key that opens many doors, channels, and is the foundation to creating a marketing solution that reflects the innovative nature of your business. 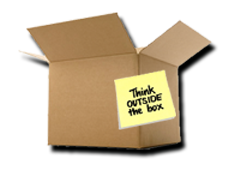 We develop a focus strategy with outside the box creative thinking.Every business is different, so this development process is unique to your business and brand. Mingle Media goes in-depth to deliver the knowledge and marketing trends, with world-class design and communication that execute the deliverables. We evaluate the process and status of your project every step of the way to insure success and client’s expectations are met. This is a key element in helping to clarify the plan of action is completed on time, on budget and effectively. Advanced strategy or execution stage is the robust results or ROI Mingle Media delivers that successfully grows your business and brand.